The following is a guest post by Chris Ismael, Developer Evangelist at Mashape, a cloud API hub allowing developers to discover and distribute APIs. Learn more about Chris here. Hi, my name is Chris Ismael, Developer Evangelist from Mashape. In this tutorial, we will build a phone service that lets you translate messages to your preferred language using SMS. The service will also call you back with a native language pronunciation of the translated message. 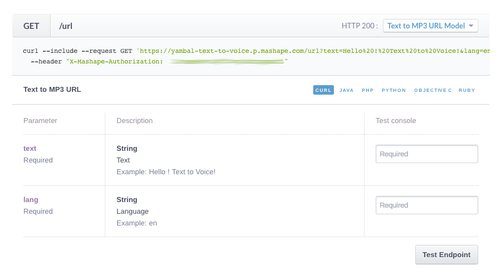 APIs from Mashape to let us detect language and translate messages. We will also use a text-to-voice API to read out the message in a native language pronunciation. You can find the source code here on Github. Try out the service by sending an SMS message to +1 (415) 992-9984 like “Take me to the bar ES”. The “ES” stands for Spanish. You can try other languages such as “DE”, “IT”, etc. You can also translate a non-English message like “Hola mundo en”. How do we interact with Twilio? 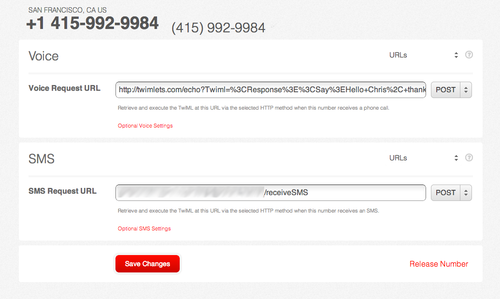 Twilio makes it easy for our applications to send and receive messages and calls. 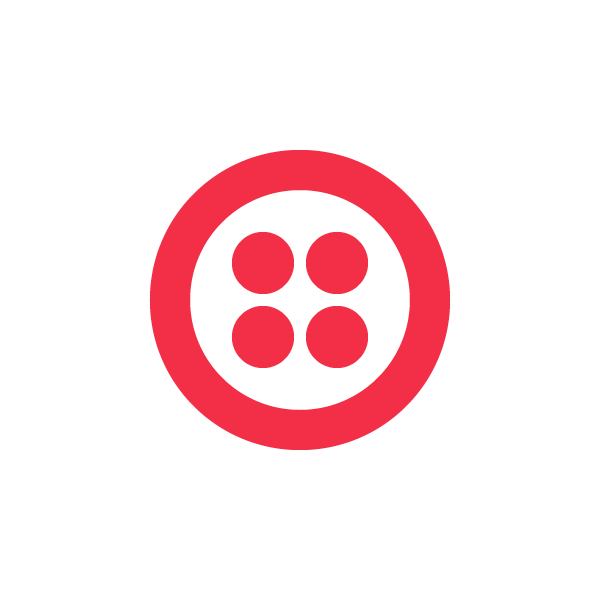 There’s a lot more you can do with the Twilio API and I encourage you to check out this page for an overview. For our app, receiving, sending SMS, and calling back are the things we need to do. Here’s a diagram of the process flow from our phones, to Twilio, to our app, and back. What is Mashape and how do I call their APIs? Each of the links above will take you to a Mashape documentation page. It provides a test console, among other things, to help developers test the API before actually using it for their apps. You need to have a Mashape account in order to use the test console, and most importantly to use the API in your app. Go on and register for a Mashape account, we’ll wait for you below. As you’ve probably noticed, there are also code snippets for Java, PHP, Python, Obj-C, and Ruby. Go ahead and check them out. So far, we’ve described the major components of our service. Hopefully this has given you a good understanding of how each part fits. We won’t go into the nitty gritty of explaining each part line by line. Instead, you can check out the source code in its full glory in Github here. User sends an SMS message to our Twilio number. I hope this tutorial was useful. Please send me a note at chris@mashape.com if you have questions, comments, or feedback! Happy coding!